I have been asked how you would use the memory arts to memorise the periodic table. 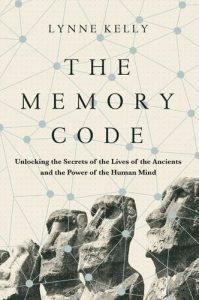 I would use what is known as the Method of Loci or the Art of Memory. This method is attributed to the ancient Greek and Roman orators. But this same method is used by all indigenous cultures, known as memory trails, paths and, in Australian Aboriginal parlance, Songlines or Dreaming Tracks. Please note that I am only using the mnemonic aspect of the Songlines and in no way suggesting that this is all there is to these sacred songs and tracks through the landscape. More of that in a later post. You will need the list of elements in writing because we don’t have elders to accompany us and teach us. 1. You need to set up 118 locations for the 118 elements. I would use your home and nearby garden or street. 2. Choose the starting point for walking around your home. We’ll allocate ten elements per room. 3. The door is 0 and the window (or some other midpoint) is 5. I always use the door and window so I am never confused. 4. Choose 4 locations between the door (0 or 10 or 20 or … depending on what room you are up to) and window. Four more back to the door. 5. Allocate element number 1 to the first position – (location 0 is wasted here). Hydrogen. Now comes the fun part. Stand at that point and make up a hydrogen story. The weirder, sexier, more grotesque, more politically incorrect it is, the better. Say I am at a bookcase. Then blow up the bookcase with a hydrogen bomb. You have started your first story. 6. Move to the next point. Say a cupboard. Fill your cupboard with Helium balloons for a very wild birthday party about to happen. You cannot lose any element because each has a location. 7. Keep going to each location. Don’t hurry. That is critical. Don’t hurry. In fact, when the medieval monks were talking about meditating, often they were talking about the images created for memorising virtues and vices! 8. If you want to add in other details, add them to the story. Say I have Mercury to encode at the kitchen bench. My bench is now all shiny and silvery with a liquid metal. I am also killing off all my guests with mercury poisoning. I will now hug them all as they die. Hg – the symbol for mercury. 9. 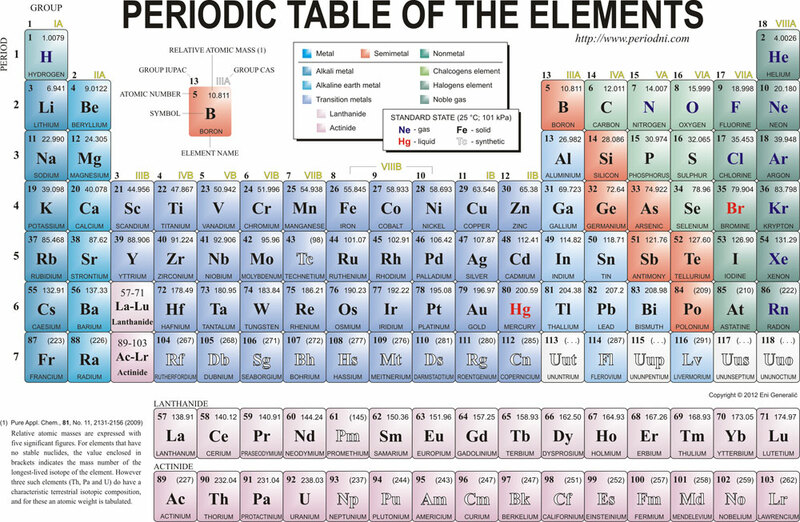 What about an element which is totally unfamiliar? Say, Seaborgium. You find some kind of pun or association in the word. I would imagine borgs at the seaside. The important thing is that everyone needs to make their own associations or they are harder to remember. 10. You want the structure of the table? Lots of ways – maybe just remember the shape, it isn’t very difficult. But I would probably do a sing – a new line song. I’d make it up with the last elements of the lines, A Noble Gas Song: Helium, Neon, Argon, Krypton … just sing it away to yourself while cooking or showering. 11. You now have the elements in place. You don’t need to memorise numbers. That is done for you. You can jump to any atomic number because there’s a key location, a door or window, within three jumps of any element. You can start adding in identifiers for their state, like alcohol as part of the story for all liquids. Your creativity is only limited by your imagination. 12. The usual criticism of this method when it is first explained is that it is too cumbersome. You have to remember more than if you just memorised the elements. You will never hear that from anyone who has tried it. Do the first ten elements and let me know how you go. The more you do it, the faster you will get at making up stories and creating images. And the wilder your images will get. Whenever you are sitting around waiting, or bored out of your mind at a meeting, just mentally walk around your house collecting the elements. They’ll soon be in place and will never be forgotten. Trust me! This is an excellent article on The Periodic Table, including Tom Lehrer’s famous song – with animation. https://theconversation.com/the-periodic-table-from-its-classic-design-to-use-in-popular-culture-52822? 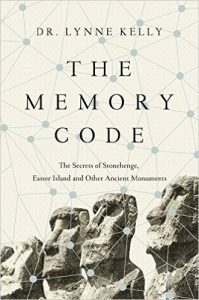 This entry was posted in art of memory, memory, Memory Spaces, method of loci, mnemonics and tagged art of memory, method of loci, periodic table. Bookmark the permalink. Great method, but … I can not enter the electronic configuration, you can suggest some idea please. Thanks! One way would be to construct a story linking the electronic configuration to the location. Maybe some kind of memory aid for the various shells and their maximum capacity and a story linking that infotrmation. Given the relationship to the periodic table, and that you have the atomic numbers already in place, you can reduce the amount to be remembered using the patterns. Hi all! I’m sorry for the long reply, but I couldn’t resist. I recently had to memorise the first 20 for an upcoming test, including atomic numbers and mass numbers (rounded to the nearest whole, or decimal <0.2). My way may kind of break the 'rules' a little, but I found a way to memorise most of them with some sort of story. H = 1 and 1 (OK, so it's not doubled! ), He = 2 and 4. Simple. Now, with Li, you don't want to Lie about your Literature, so I remember Li3 (Lie) and Li7 (Lit) – subsituting numbers for letters to make words that actually mean something. Boron – is the only element of the first twenty with FIVE letters, so it's atomic number 5. It's a little more than double for the atomic weight, so I remember thar Boron is a BLOB – 10.8. B10.8. (Substitute numbers for letters to make the word, then I remember the decimal point before the 8). To remember CARBON, I remember the BC (before Christ) acronym to help me remember that Boron comes first, then carbon, and chuck in a 6 for the atomic number, double it for the weight. Now, the next three, I remember in succession thanks to my profession as a paramedic. Many elderly patients that I attend who have fallen over and injured themselves end up breaking their Neck Of Femur (where the femur joins to the hip). So we say they have done a NOF – Nitrogen, Oxygen, Flourine. Nitrogen gets 7 and weight of 14, Oxygen gets an 8 and a 16 (these two are used a LOT in chemistry, so they are easy to remember anyway after a bit), each an easy double one to get the other. Flourine – F. I picture the F9 key on a keyboard (Function 9). This helps me to remember the atomic number 9, but to remember the 19 atomic weight, I remember that the F9 is right next to the F10 key on a keyboard, so I add 10, not 9, to get the atomic weight of 19. Neon tags on at the end, to finish off the name NOFNe, who is DAPHNE's sister (they kind of rhyme.). Neon is obviously 10, with a weight of 20 (OK, so it's 20.2). It think it is of no consequence for what I am doing if I leave off the .2 for this one, as we NEVER use it in equations. It is an inert gas that does not interact or combine with other elements unless it HAS to , so it is happy to just sit there and fill a whole for this exercise…so 20 it is for the atomic weight…a straight double. Next is Sodium (Na) at 11. For some reason, I always picture a guy in a football jersey with the Na on the front and the 23 (his player number) on the back. I don't know why, but Na-than NAILs (Na11s) it when he plays football. And because he nails it, he gets an extra point after the double, to make 23 as the atomic weight. Magnesium (Mg) is a doozey. Remember the Mig21 fighter jets? They go so fast that they make you look like you're going BACKWARDS, so I write the 21 backwards to get 12. And they go TWICE the speed of sound so it's a straight double for the 24 atomic weight. Aluminium goes to Allison who likes to be called Alie (Al13). She's getting on in life now, so she's MORE than twice the age she was when she was 13, so she's now 27 years old (atomic weight). I also remember A1 from Al to ADD ONE to the double to get 27 as the atomic weight. Now, Al begins another combination package that I always remember and its this: Al sips Chlorine. Al SiPS Cl. Al Si P S Al = 13, Si = 14, P = 15 S = 16. Si is a tough one for me to remember, and I have yet to find a memory tag, but for now, I remember that it comes next in the word SIPS to be atomic number 14, and it's a straight double to get the atomic weight of 28. For Phosphorus, I head back to the numerical substitution and remember that you never want to PISS on your PIE (atomic number P15, atomic weight P31…the 31 is reversed to the ie letters that they substitute, but at least they help me to remember the 31 atomic weight as opposed to the double of 30). S is 16, which makes me think of Sigrid, or SiG (S16, atomic number), for short. She is also a straight double to get an atomic weight of 32. Chlorine is a shocker, I am ashamed to say. I apologise if this seems rather crude, but you will NEVER forget it…it's atomic nubmer of 17 makes me think of the letters "it". That's all I'll say there. Being a bloke..that's all I need to remember (sorry if this causes offense). Then the atomic weight is a strange one, as it's a decimal. However, speaking of the feminine form, I remember the days of old when they would talk about the bust/waist/hips ratio and they would say 36-24-36, or something like that…so I remember the 35.45.35 combination, and it helps me remember the 35.45 atomic weight, as the two numbers are linked to female anatomy of sorts. Ar = atomic number 18, which makes me think of Aribs – Ar18s (Arabs). They never get married before they are 40 (Atomic weight). Remember the 40-year-old virgin??? Yup…say no more. He was an Ar18. Potassium (K) is another shocker, but I find shock factor really helps me to remember, and I write this with utmost respect and sincerity for those people who were involved decades ago. But it just so happens that 1939 marked the beginning of the holocaust where 6 million J-ews (the letter before K) were K-illed. Therefore I remember the atomic number of 19 for K, and its atomic weight of 39, which is not a straight double, and hence I find this an easy memory tool by linking it back to the year of the onset of one of the most horrific events in history, as horrible as it sounds. Finally, we get to Ca (Calcium) with atomic number 20, the element of the future. We are always talking about 2020 (Hindsight is 20/20 vision etc.). Well, this element it so good, that it's from the future – 2040. 20 atomic number, and 40 atomic weight. Also, as a Star Wars fan, I use letter substitution to assign this element after Luke Skywalker's padawan, Ahsoka Tano (A-20-Ca), to help me randomly remember this element's atomic number without it being tagged to any other in the series. And there we have it – 20 elements, their atomic numbers AND weights, all within 0.2 of their weighted average, with somewhat easy to remember tags for each of them. Really cool, Jamie! You can’t be ‘breaking rules’ if you are using something which works for you. You have added one item which would be eliminated if you used a memory palace – that is the atomic number. A memory palace in physical space order gives you that number automatically. 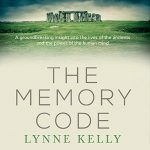 But of course, you do need to memorise the memory palace first! All good fun, isn’t it? Making up the stories is far more fun than just trying to commit facts to memory. I am very impressed! Thank you for such a long and detailed comment – I enjoyed it immensely. I find the different stories people use for the same set of data – the elements in this case – really fascinating. Thank you for taking the time to post this! I wrote my associations down. I’m quite fond of: Argon = Table, stable, Argon is stable, Knights of the round table, Aragon the knight, noble, noble gas. But this one is more creative: Carbon = Couch. C for couch and C symbol of Carbon. A couch car would be bon. That’s fantastic. What fascinates me is how incredibly different the links we make are, and how very personal. What works for me will almost certainly not be as strong for you as those which come to you naturally. Love your knight Aragon. He is now a character to add lots more to about Argon. Couch car-bon – took me a while to get that! So clever! Love to hear more as you do them. That’s fantastic, Orphia. And thank you for testing the comments box! Isn’t it fun? What was the most creative link you made? I’ve memorised the first 20 elements so far today. This really works!